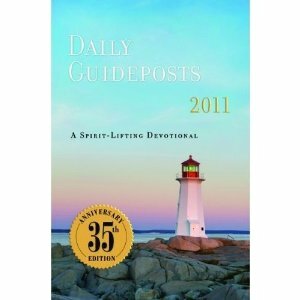 You'll be encouraged daily as you read the uplifting and inspirational stories and devotions found in this edition of Daily Guideposts. This is the 35th anniversary edition of the long loved magazine devotional. Included are stories from 50 contributing writers. The writes share stories of how God has transformed their relationships, jobs, families and faith. 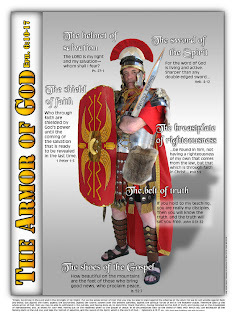 As a daily devotional each day begins with a scripture and a true story. And ends with a prayer. Each month ends with a section titled Seeds of Love which encourages readers to write down their daily blessings. This hardback book would be a great gift for anyone. 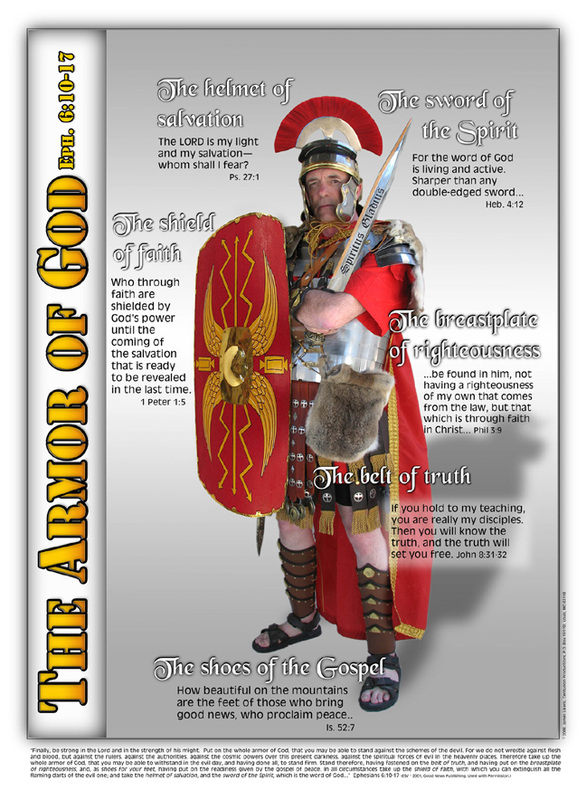 It would be a great gift for a co-worker that you would like to share your faith with. It would be a great gift for a church friend. I know many ladies that have read the magazine version for years. I know they would love this book version. It's really not to early to begin your Christmas shopping go over to Amazon or the Guideposts website to purchase a copy or two. This book was provided for review by Phenix & Phenix literary publicists. Thanks Shelby for offering another great read. BTW I just happen to have a copy to give a way so you might want to leave a comment. Thought I would Praise Him . . .
For a special friend that needs a little lift. Today I am thankful that I don't have to rely on super hero's. I am thankful that the only super hero I need is our Father and our Savior. I am thankful for words like . . . I can do all things through Christ who gives me strength. Sometimes I may not get what is going on but I know who I believe and I know who is able. Do you recognize that as a lyric? 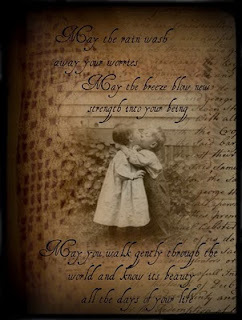 These are the words of a hymn that just went through my mind! I am thankful that God has supplied our needs and has provided a way for us to be a part of the Wednesday night activities the boys prison. I am thankful that last night 2 boys accepted Christ as their savior! Yes Lord. Yes Lord. Yes, Yes Lord. Sorry these songs just keep popping into my head! And lastly I am thankful that the problems here at our apartment are worked out. Today I got the call from my supervisor that we will be having a new manager. This week the morale here has been so different since the manage was sent on vacation. And now with the official word I/we see much brighter days ahead! I hope your day is filled with Blessings and Thanksgiving! 1. I love research. I love to research topics on the computer. 4. I always end up with library fines. 5. I lived in Boulder Colorado for 6 months. And I cried when we had to move. 7. Sorry for your Missourians but living there was "Misery". The only bright side was homeschooling. 8. My first dogs name was Pierre he was a French Poodle. 9. I cannot tell you my favorite food. Easier to say what I don't like. . . Grits! 10. My favorite vacation w/o the kids is a cruise. I dream of going on a 'just girls' cruise. Sorry had to add one more. 11. 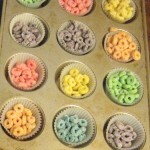 I grumble when blogger makes changes w/o telling us and w/o offering tutorials! Don't forget to visit Lynn for more thankful posts and more lists! Join Amy for more Wordfilled Wednesday illustrations of God's word. May I share something with you woman 2 woman? I love women. Yes I love to talk to women. I love to sit and spend time having lunch or coffee. (Well actually that isn't right I would be drinking a Dr. Pepper which is what I am having now as I write this. ) I love talking on the phone or chatting on the computer. Is this photo not precious? 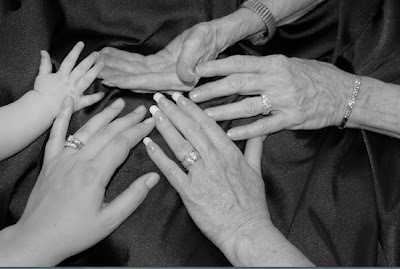 A wonderful photo of generations of women. I wonder the things that the older woman has taught the others? That is what I want today to be about. Woman 2 woman. You teaching me. Maybe me teaching you! Everyday I when I log on there are regular places that I visit. Some of the places I visit because I am expecting an encouraging word. Some of the places I expect to read something funny and inspiring. And some places I just want to see a new decorating idea. But even at those places that I get decorating ideas sometimes I come away with something more. I never know what to expect. And I guess there is a little intrigued and a little excitement there. I hope that is what you get here. I hope that when you visit that you receive something. Hopefully what you need that day or that moment. I pray that when you come here that the words you read are words that inspire you. To maybe keep going. To maybe trust God a little more. Or to maybe settle down, relax and realize it is all going to be o.k. (like I am today) that you will find a moment to rest and look around and be thankful for the things that you did accomplish today. Even if the only thing you finished (because there is still laundry, there are still dishes there is still . . . ) was kissing your husband or your kids good bye I hope you realize that was/is the most important part of your day. A simple cover for a great book. Watch the trailer. Forgive me but I have a complaint about this one. . . "Why didn't I get to read the first two?" Just thought maybe in case the trailer didn't get you going I would try and get your attention! 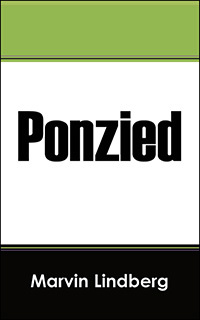 I really enjoyed Ponzied and I really do wish I had gotten to read the first two. Although this third book totally stands on it's own. But I just happen to get into the characters when it is such a good read and I want more of the story. I think you'll feel the same way. So go over to Amazon or to the publishers site or Barnes & Noble and get your copy. I would go so far as to say buy all three for yourselves or for a Christmas gift. This was an easy book to read. The story caught your attention and kept you interested all the way to the end. I really enjoyed the main character Wayne although I do have to put in a little dig we really don't talk like that in Texas. And most people don't dress much like Texans anymore at least not in the city. But hey it is fiction so I'll let is slide. Many thanks to Mr. Lindberg for supplying a copy of the book for review. There is a Ponzi scam taking place in Las Vegas with tragic international consequences if not stopped. Wayne Davis, a private detective in Amarillo, is lured to Las Vegas by a “friend” to help him out of a nasty mess. Little does he know that he is being drawn into a Ponzi scheme that has a terrorist connection. Time is not on his side, as he and his partner, Rhino, delve head first into something much more than they bargained for. About the author: M.L. Lindberg is an author of several books of fiction. This is the third in a three book trilogy of Private Investigator, Wayne Davis, a red-blooded, no-nonsense, American hero, who is a modern throwback to cowboys and Texans. Mr. Lindberg resides in Racine, Wisconsin. This book was offered for review by the author through Bostick Communications. Welcome to my regular (almost) Mission Monday post. Today I am doing it in blue so I can link with Smiling Sally. 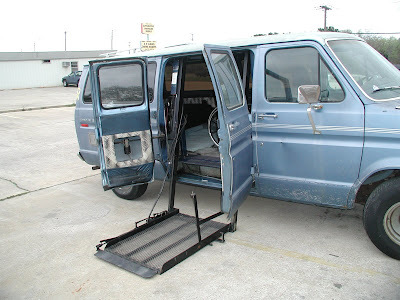 In 2007 Auto Mission (our boys ministry) replace dthe engine, recovered the seats and detailed this wheel chair van. It was donated to a pastor in Mexico who's wife has polio. 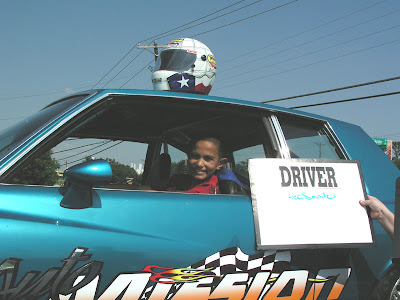 The summer of 2006 Auto Mission participated in VBS at a local church. All the kids got to sit in a 'real' race car'. This is a quilt that was donated to Mission Makeover our girls ministry. It was used for a raffle. And last a darling little baby quilt that was made at Mission Makeover. 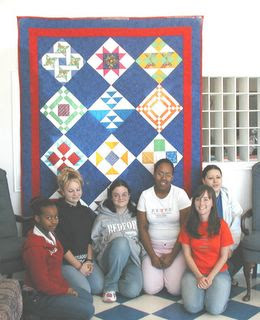 That year we made 40 teddy bear themed quilts and donated them to the parenting mom's at our local high school. Did you notice our floor is blue too! Thanks for visiting. It was fun for me to travel down memory lane and share a few blue memories with you! For more info. about our ministries check out our blog. Another Melody . . . Another Empty Song . . . I try to pretend I've Praised Him. . . Some amazing lyrics . . .
As I sit and think about how I could be Praising you. I do try and make believe sometimes when I realize that I have been so busy working that I miss the real reason for what I am doing. I need to evaluate me. I need to evaluate my motives. I need to look for arrogance and pride and I need to give all that to you. I need you to take it all and to give me your strength and your direction. Thank you Father for being so patient with me. Amen. Completely Whole by Paulette Harper was a great book to read. Actually the first three pages of the book is filled with quotes from authors and pastors. There are a lot of people talking about Completely Whole. I think I could easily say that everyone agrees that it is Biblically sound and encouraging. It chapter refers the reader back to scripture and ends with a challenge and a prayer. Life's daily struggles can often leave us perplexed and bewildered on how to cope with hard issues. In Completely Whole, Paulette Harper offers keys to help those who are searching for answer that can lead to a life of complete wholeness: Spirit, Soul and Body. Completely Whole focuses on how to overcome suffering caused by alcoholism, substance abuse, poverty and other obstacles blocking the path to a life of wholeness. I enjoyed reading Completely Whole by Paulette Harper and I would recommend this book to anyone that is wanting to get more out of their Christian life. Angie Knight suggests this book for her next women's study group of retreat. (from the endorsement page in the book) I agree it would be great. I am donating my copy to our apartment ministry library in hopes that it will help someone else. Completely Whole is available at Amazon and Barnes & Noble and also on the authors website. I enjoyed the Author Spotlight here. This book was offered by the author for review. I was not asked to write a positive review. I did enjoy the book and wrote the review but had some difficulties the day I wrote it with blogger. Unfortunately it ended up in my draft folder. I was reminded by the author that the review had not been posted. I apologize for the delay. However...as I was doing a little more looking around today before posting I found some great reviews on the Amazon site. If your not convinced to purchase Completely Whole check out what a few of the other blog reviewers had to say. Yep I said . . .grumble,grumble,grumble. And I know I shouldn't but I missed blogging today. I missed bloggin' on Wednesday. I barely got up a post on Thursday but I didn't get to link. I don't really remember if I managed a post on Monday or Tuesday. And so I am grumbling. But I don't really want you to know so I am trying to hide it. It isn't easy. And then I feel guilty because I would rather have had time to post, and visit today. But instead I was at a rummage sale fundraiser. I was also at a graduation at our halfway house. It was a long hard day. When I finally logged on I visited a friend that said this on Wednesday. THIS is the day the Lord has made. What we do with that day is up to us. Are we going to grumble and complain about it? Or are we going to choose to rejoice & be glad in it? Dear Lord, we thank You for this day. Help us to not grumble & complain, but instead to rejoice in You. You alone are our Savior & Redeemer. May we continually look to You for our help and our strength. Thank You for all that You are. Thank You for continuing to give us life THIS day & every day. In Jesus’ name we pray, Amen. This was posted by Alicia at Confessions of a Snowflake. Thanks Alicia for reminding me to rejoice. Just a coincidence I wanted to leave you with a cheerful photo. This is one of my favorites. Funny it it represents Alicia's blog. I hope your day was Blessed. Rejoice God is Good! Hidden but not forgotten? Last night I wrote briefly about the Tatooed Hearts program and how I realized as I worked with the young men that there are verses that are hidden, buried deep within me. Verses that I have not used or thought about in a while. And, as I began to think about it I realized how sad I am. I am sad to know that I have allowed activitiy and life to get between me and my Father who is the reason for all the activity and my life. I do have some words. Some of his words. Verses from the Bible hidden within my heart. Tattooed onto my heart. I am thankful that with only a little encouragement those verses can pop into my head and I can remember them when I need to. But I am rusty. And I need practise just like those boys do. And I am thankful that God my Father is patient with me. And that he gives me the ability to remember. Praise be to you, O Lord teach me your decrees. Today I am thankful that even when I neglect God he doesn't neglect me. Tonight I began to wonder how much scripture is buried in my head that I have forgotten. Sounds weird doesn't it? Maybe forgotten is not the right word maybe 'hadn't thought of recently' is better. I am thinkin though that either description is sad. Tonight I got to go to the ranch to help with the Tatooed Hearts program with the boys. It is Bible memorization program. I sat and listened while boys recited verses. It was a huge Blessing to me to see the smiles on their faces and to watch them excitedly quote scripture! These are 15,16,17 and 18 year olds that are there because they have committed felonies. The ranch is a prison unit. Tonight I heard Romans 3:23, John 3:16, Genesis 1:1 and a few others. I also heard . 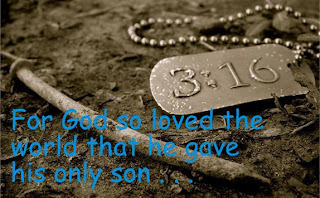 . .
As I read it and then helped one of the boys remember it I began to think about the other scriptures I had memorized so long ago. One of the hardest things for me to remember is the references. I remember bits and pieces of verses. But it usually takes looking at them again to remember the entire verse. Tonight I pray that as these boys learn and memorize these verses that they will absorb their meanings. And that they will truly hide them in their hearts, in a place where they can find them. Tonight I shared Jesus. Tonight I was Blessed. I won't be able to write a Thankful Thursday post but if I could I would have to include how thankful I am just to be a part of Tatooed Hearts. And how thankful I am to see the excitement on the faces of these boys. Maybe you've wondered where I have been the last couple of days. Since Friday well actually Thursday I have been busy with . . . Some of this well actually a lot! And a lot of this! I have been doing a lot of reading in between the above! For the last few days we have been having to do a little packing and a lot of moving of our records and boxes of supplies for our ministry. Today we got the keys to a new 'little' building. It is the smallest space we have ever had but the dynamics of our ministry has changed so much in the last few years we realize we don't need a lot of space. We were able to rent 1,000 square feet of office and workshop space. Between our regular activities of chapel, meetings and working with the youth we've been sorting through supplies and figuring out what we need to keep, what needs to be stored for now and what needs to go. And during all the driving back and forth I have been reading. I have a bunch of books in various stages of the review process. Some still waiting. Some finished. Some reviews ready to be published. So, I hope you haven't been disappointed when you've come by. I promise I will get back to regular posting in the next couple days. 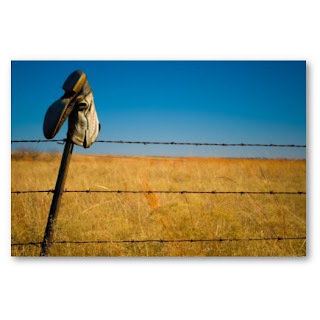 So come on by and leave me a comment and let me know you've been here. Sorry for teasing you a little this morning but the review is finally here and I think you'll agree it was worth the wait! The Waiting is the 2nd book in the Lancaster County Secrets series by Suzanne Woods Firsher. It is described as the 2nd 'stand alone' book. I was a little surprised because I expected book 2 to be a sequel to The Choice which I had the opportunity to read a few months ago. Here is the link to the review. So now I am on the edge of my seat waiting for the next book. I am a little curious if the characters are woven together into the third story. Hmm. Here's a little about the book from the back cover: She was waiting for love–and found it in the most unexpected place. With her realistic characters whose weaknesses develop into strengths, Suzanne Woods Fisher offers a reading experience that rises above the others. You will love growing in spirit with these complex people living the simple life as The Waiting transports you into a world where things aren’t as simple as they seem. As with the first book I think the author did a great job of showing the struggles that the Amish people face when they have to deal with the way the English or 'outsiders' think. First when they deal with the tragedy of Ben's death and how the military handles the situation. And then when the new veteranarian comes to town. I really enjoyed the characters even more than I did in the first book. I found I was on Jorie's side as the school board members push Caleb to suspend her from teaching because they feel her teaching methods are a little unorthodox. And of course you are drawn to Caleb's character. As he deals with personal struggles including raising his brothers after his parents unexpected deaths, running the family farm and then being elected as a minister in the church. For me it was a little easier to read The Waiting than it was to read the first book. I think it was because there weren't as many characters that fight for your attention. In the first book I caught myself getting absorb in each of the subplots. But that didn't happen in this book. Even from the first page I was intrigued. Here's an excerpt from the first chapter. I really enjoyed The Waiting and I am looking forward the next book. For more info. 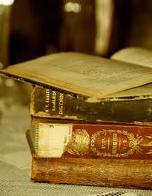 you can visit the authors blog or go to the website. "More than a story of the Amish, The Waiting is the story of a woman, sometimes triumphant, sometimes struggling, carried through turbulent times by a plain faith." Lisa Wingate, author Tending Roses & Never Been Kissed. laughter--what a lovely read. "Sarah Saudin, author Wings of Glory series. Visit this blog for another review and information about The Kindle give a way. You can purchase on line at Amazon and Barnes & Noble. Thanks to Baker Publishing Group and Litfuse for allowing me to read and review this book. The wait is over almost . . . Yes the waiting is over because Suzanne Woods Fisher's new release "The Waiting" is on sale now. But you will have to wait just a couple days to read my review. There are already a couple of reviews up so if your anxious go and check them out. Wanna see what I thought? Come back here on Thursday for my complete review along with links to purchase and links for more info. The blog tour has started you can visit Lit Fuse to join the tour. May your Sunday be filled with rest and peace. And Simply Blessed. Off to see the wizard . . . Nah not really but those words popped into my head. But I am off to see . . .
My sweet litte grandson and my daughter & mom. The plan for the day Mexican food. Yum. Yum. And maybe a short trip to JoAnn's. We have to limit my mom who has been known to spend 2 hours there! I will return with photo's of the day. But while I am away. Go and to visit Tiffany. You will be Blessed. I am skipping off to see . . . The darling cover photo depicts the first time the author met her famous father. Two first's happened to Bonnie when she was 4 years old. She went to the circus for the first time. And she met her father for the first time. This is an amazing story filled with child hood memories. It is a story filled with hope and hurt and healing. 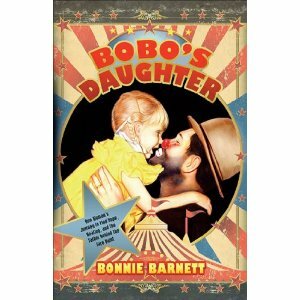 It includes family photo's and gives the reader a glimpse into circus life. Thanks to Lindsay at Phenix and Phenix for providing a copy for this review. A Joyfully Thankful Journey Come Along! Thanks for joining me on my Thankful Journey today . 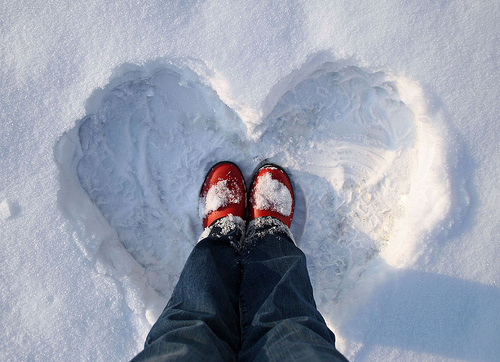 . .
First things first I am especially Joyful today read on. I think I would say it is my favorite time of the year. I love the cooler weather. The colors. I love to decorate and plan for . . .
Thanksgiving and Christmas. 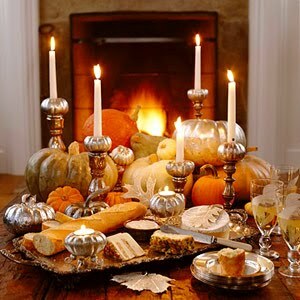 Isn't this just a beautiful tablescape? I am thankful that we will have Thanksgiving with our daughter and her family. I am thankful that a problem that I have been praying about has worked out splendidly and I will be activity planning activities here at our apartment. One activity is photo'd above. I will be doing activities for Mom's of Preschoolers and providing them with fun ideas for learning play. And I am very, very thankful that God supplies our needs and that Cowboy is working and we can buy eggs. I love breakfast. In fact I love it anytime of day and 11:00 in the morning (which is what time it is right now) Seem's like the perfect time. So I am thankful I can stop what I am doing and go cook breakfast! Hope your Journey is Thankful and Blessed Today! Here's another one I enjoyed. This book was easy to read and really kept my interest. The cover describes it as an interactive as well as inspirational book. Each chapter includes stories from actual events either from the authors life or from her court room experiences. At the end of each chapter is a section of 'reflective questions that lead the reader to moments of self-discovery and a defined pathway to healing. Challengiing you to study the positive with the same interest and intensity that you study the negative. 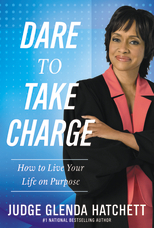 Judge Hatchett uncovers the potential you possess to live a grace-filled successful life. Here's a little of what others are saying about the book. (from the back cover) . . . Here's what I thought . . . Here's a link to the publishers website you can go here to read an excerpt. For more information or to purchase the book now visit the authors website here. Please join Amy for Wordfilled Wednesday. This is a test post here is my first try. If you noticed my last two videos for some reason they are bigger than the post area allows. I googled the question how to fix and I learned that when you copy and paste the embed code you can change the height and width. On the above one I changed the width to 320 I didn't change the height. So that is what I am playing with here. Below is what it was originally before I changed any thing. O.K. so on this one it fit I didn't need to change anything. But here's the video I posted yesterday. Now here is what I have learned. Its height is 385 not a problem but the width was 640. When I googled the question the answer suggested using 200 for the width and 150 for the height. Now I figured out already that is probably way small so here's what I did. Atttemp2 #1 So since 200 sounded way too much of a change I changed my first try to 320. Then I realized that was small so I looked at the original number. It was 385. Attempt #2 I took it back to the original numbers and it was fine. Now let's talk about yesterdays which I showed again just above. See how way too wide it is. It's original #'s were 385 height and 640 wide. Below I am changing the width. one more thing. Is the the height and width is written twice in the code. Once at the beginning and once at the end you have to change both sets of numbers. I hope that this all makes sense to you. If you have had the problem that I had yesterday. Now you know how to fix it. What I will do in the future is copy and paste the embed code into a word document first and look at those numbers and make changes before I post and publish so I don't have to go back and do it later. Since I have been doing chapel services at McFadden I have started becoming more familiar with TobyMac so when this book was offered for review by Bethany House I jumped on it! And I was glad I did. I recommend this book and I give it as many stars as allowed! It is filled with stories of individuals and groups that are stepping out and acting out to share hope and God's love and promises.
" God can do amazing things through us when we're willing to step beyond our comfort zone and venture into new worlds. " It is an easy and simple to read book that I think anyone would enjoy and be encouraged to step beyond thier comfort zone. This would be a great gift book. For more info go to the City On Our Knees website. Here's the song that inspired the book. You can purchase at Amazon. This book was offered for review by Bethany House. photo compliments of Renae at My Little Raggedy Blessings. This morning a couple of the boys that we work with are on my mind. They are struggling with thier faith. Please pray with me today for Joseph and Jarrel. Father God, please guide and direct these young men. Please give them the strength and the courage they need to follow you. Please be with me and give me strength and courage and guide me. There are so many questions in my mind. I know these young men have many questions too. Reveal to us all your plan and help us to follow you. Amen. Sweer P's so what's a Sweet P? 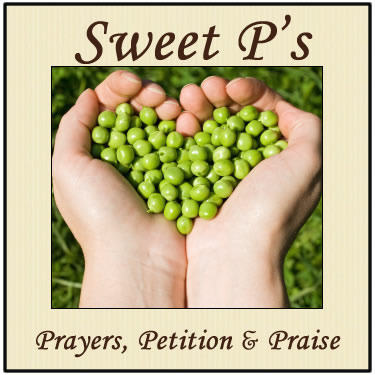 Well yes you can eat a sweet pea. And there is a lovely little flower called a sweet pea. But here it is about something different. ﻿My friend Tiffany had the wonderful idea about sharing prayers and praises over the weekend. You can go over to Tiffany's blog and link up and visit the others that have some amazing prayers and prayers. Cowboy won't be working on Wednesday anymore. So that means we can start drama team again. Last night I resigned from the apartment ministry.
. The last two months have been a real struggle. Last night I resigned and I feel so much better. I have been having headaches and not sleeping. Today I am happy. And I am praying for you. I am praying for those of you that are struggling in jobs. I have a friend here named Missy. She is struggling so much with the moral here. It is sad to see someone that works hard and that is kind and sweet and compassionate. She really needs her job and she is forced to endure a really bad environment. I am praying for my daughter who has her dream job now. She is teaching horse back riding. But there are some real safety issues that she is dealing with and attempting to get addressed. It is a struggle for her. I am praying for a new friend whose husband is working away from home and is only home for a few hours on the weekend. I am praying for my boy Joseph who is struggling and frustrated because he can't find a job. I am praying for you. I have no idea what your struggles are today. I have no idea if your struggling in a job or needing a job. I have no idea if your struggle is with physical issues like my friend Denise. But I know that you are here for a reason. And I am praying that you find compassion and encouragement here. Today I am joyful. I am singing. I am praising God. And I pray that you will find a reason to be joyful. I leave you with peace and joy. Today I am posting a favorite song. The photo slides are breathtaking enjoy.